Call (713) 524-0142 Ext. 5 or email Felix for an autographed copy. 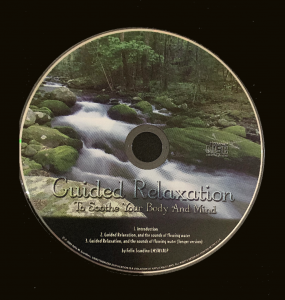 This beautiful CD takes you to a deep level of relaxation. Use it to relieve stress, anxiety and pain, and to promote concentration, meditation and creativity. Two soothing exercises, each followed by the calming sounds of a flowing creek, dissolve tension and lull you into deep rest.